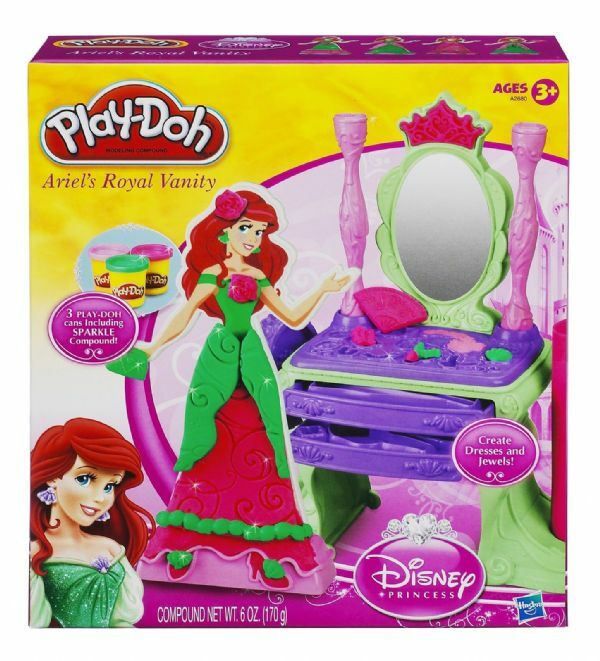 Princess Ariel needs to look her best, and this set lets you create beautiful royal dresses and jewels out of Play-Doh modelling compound! Use the cutters and rollers to make all kinds of gorgeous gowns and sparkly necklaces. Then mash them up and make even more dazzling looks for Princess Ariel! 3 two-ounce cans of Play-Doh modelling compound. Fun to play with, not to eat.